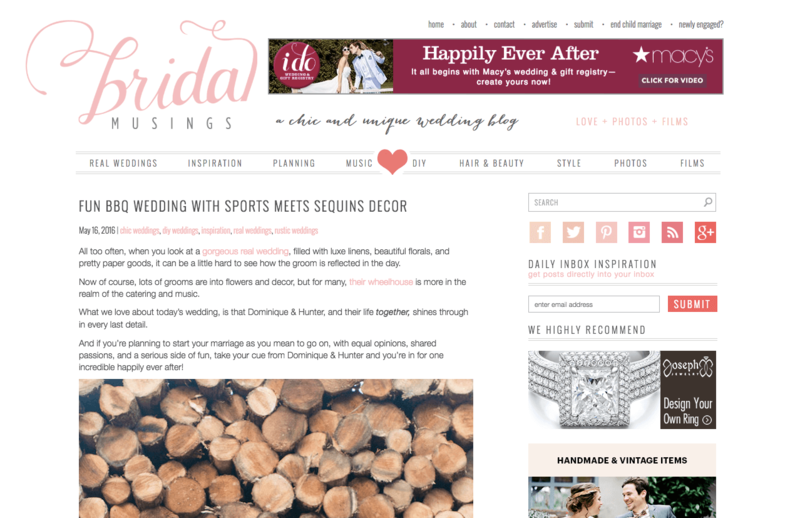 Wedding PR: Book More Brides, Bridal Musings, The Knot and more! We can’t believe July is almost over – this summer is flying by! We’ve got some awesome client features to share today including Book More Brides, Bridal Musings, The Knot and so much more. See it all below! We were so excited to see Fantasy Sound Event Services article, Think Fast! 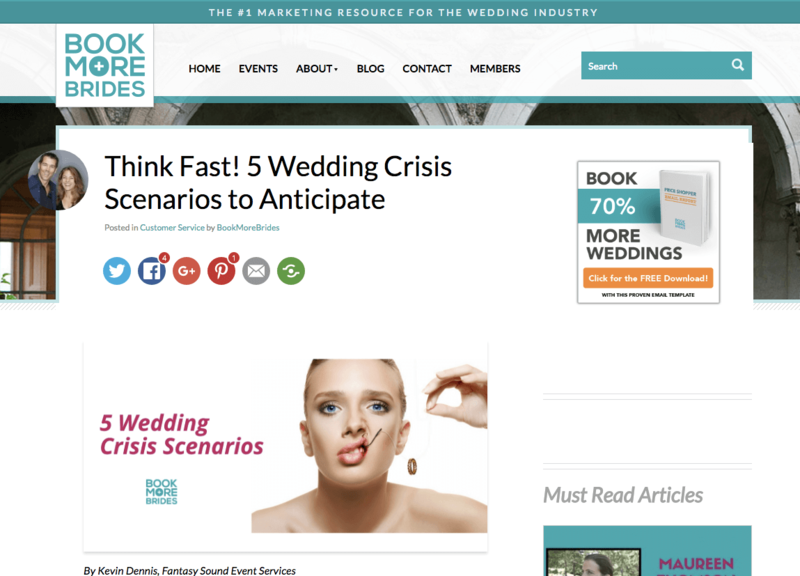 5 Wedding Crisis Scenarios to Anticipate, on Book More Brides! See the full article here. This wedding from Stephanie Yonce Photography was so cool! So many gorgeous photos that we couldn’t get enough of, and we were so happy to see it on Bridal Musings. See the entire wedding here. 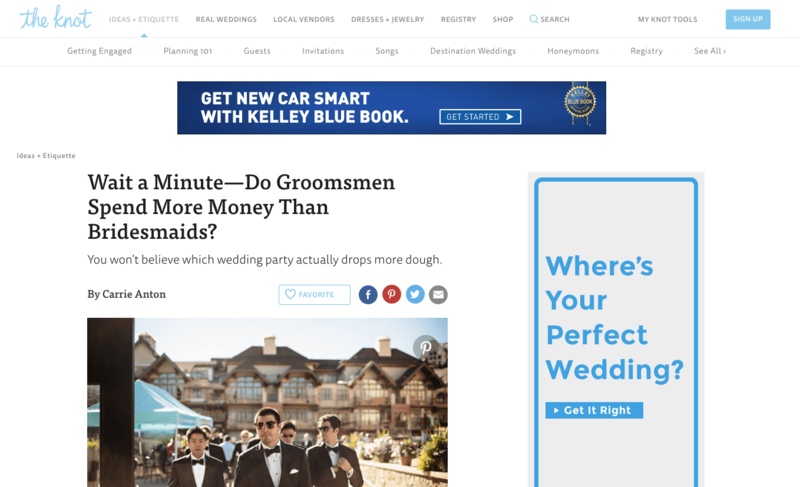 This was a super fun article from The Knot featuring Taylor’d Events and Azazie talking about whether groomsmen really do spend more than bridesmaids. Check it out here! 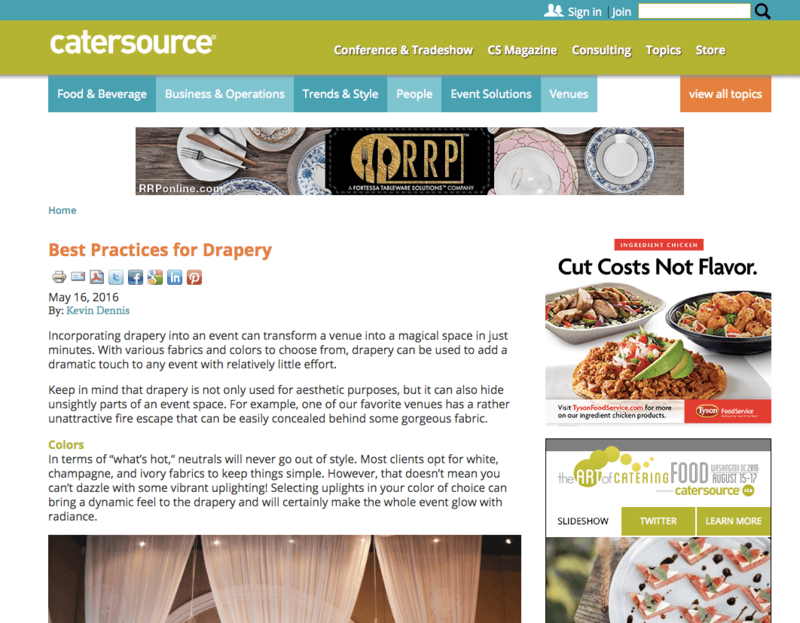 We all enjoyed reading this article from Kevin Dennis at Fantasy Sound Event Services on Catersource about the best practices in drapery. See the full feature here! 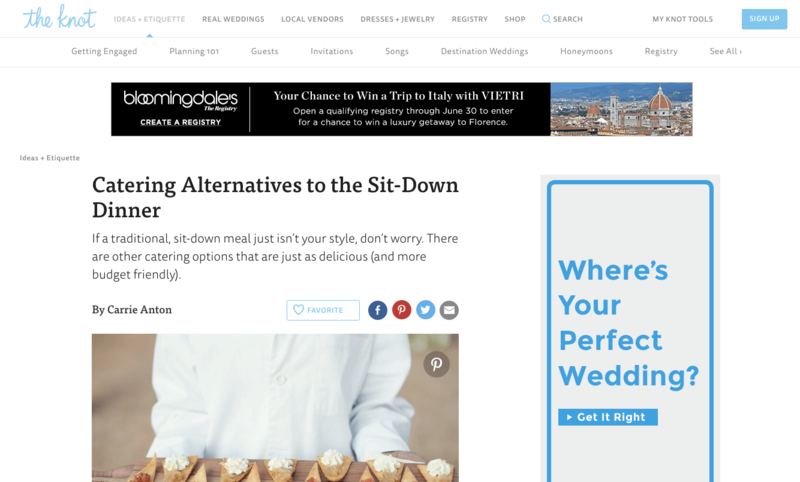 Both Taylor’d Events and Cescaphe Event Group lend their insight on catering alternatives to the sit-down dinner in this article on The Knot. See the full article here!